A BBC production written by Barry Hines and directed and produced by Mick Jackson, THREADS is a docudrama account of nuclear war and its effects on the city of Sheffield in Northern England. The plot centers on two families as a confrontation between the United States and the Soviet Union erupts. As the nuclear exchange between NATO and the Warsaw Pact begins, the film depicts the medical, economic, social and environmental consequences of nuclear war. 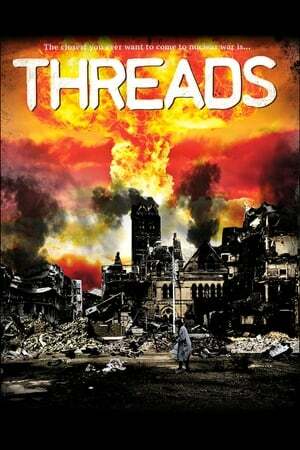 THREADS was the first film of its kind to depict a nuclear winter. Certain reviewers nominated Threads as the “film which comes closest to representing the full horror of nuclear war and its aftermath, as well as the catastrophic impact that the event would have on human culture”. Don’t miss this documentary-style film depicting a nuclear holocaust, its effect on one small working class city, and the eventual long-term effects of nuclear war on civilization. May 9, 2018, 6-9 pm @ Fort Bragg Library.